Malee is 10 years old. She's an amazing artist, an INCREDIBLE singer (think operatic), & is a fraternal twin to a super cool brother named Kaien. Malee also has Alagille Syndrome (a rare, genetic liver disorder), which has made her a warrior...no doubt...but it has also granted her numerous surgeries, a biliary ostomy bag, and most recently...liver failure. Last week, Malee was taken to the ER via ambulance after nearly bleeding out on the bathroom floor one morning before school. Then last night, after several more emergency bleeds & a blood transfusion at that hospital, Malee was taken by ambulance to a hospital in Chicago. 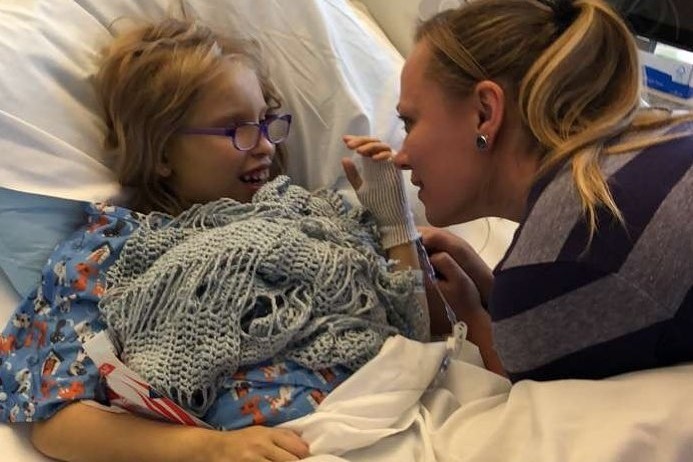 While the Drs & pediatric specialists decide which route involves the least risk & most benefit for Malee, she is being added to the liver registry, and her family is by her side in Chicago. This means that while Tiffany, Kelly, & Kaien are all fighting right alongside Malee, they are also displaced out of state, managing their responsibilities back home, & are without easy access to food, lodging, clothes, & daily necessities. And this immediate hit is outside the scope of the medical debt that is accruing every hour that Malee receives this lifesaving critical care. So...if you have ANYTHING at all to give, it would be a huge help to Malee & her family. 3. How exactly you will be delivering the funds to your beneficiary"
1. Malee is the daughter of my best friend, Tiffany. 2. I am withdrawing these GoFundMe funds in my name on behalf of Malee and Tiffany. 3. Malee and Tiffany will have exclusive access to the bank account where 100% of these campaign donations are deposited.